We provide financing option through EMI and also by Credit Cards from all major banks. This facility helps you pay for your purchases in easy monthly installments. HOW TO MAKE PAYMENT USING EMI FACILITY? If you have any of the above eligible Credit Cards. Follow the below steps. On the payment page, go to the payment gateway PayU. At the payment gateway select EMI option, your respective bank, desired EMI duration and click on Pay With EMI. HOW EMI PAYMENT FACILITY WORKS? As soon as you complete your order on the payment gateway, you will see the full amount charged on your credit card. This charge is blocked against your card limit and not billed in your billing cycle. After 2-4 working days, your Bank will convert this charge into EMIs. From your next billing cycle, you will be charged the specific EMI amount on your card bill and your credit limit will be reduced by the outstanding amount. If you are not completely satisfied with any product, return it for a full refund of the product purchase price, full credit, or exchange of your choice. We give you 10 days from the Delivery date. 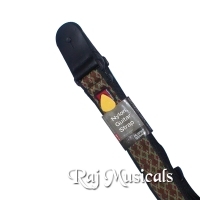 RAJ MUSICALS only accepts returns made within the first 10 days from delivery. Should you find it necessary to return any merchandise, it must be shipped within this 10-day guarantee period. All returned items must be in the original packaging complete with all components including the warranty card and owner’s manual and show no signs of wear or abuse.Please pack the item properly, as it was delivered to you, so that there is no damage or dents during return shipment process. Otherwise the return will either be refused or subject to a 15% restocking fee. Refunds are made for product value only, excluding shipping and handling charges, unless you have received a damaged or defective product. Products received with physical damage must be reported to Raj Musicals within 2 days of the delivery date. Raj Musicals only accepts returns made within the first Ten (10) days after delivery. All return items must include original packaging along the owner’s manual, warranty card and should not show any wear or abuse with the product. Drumheads and sticks, books, cassettes, CDs, DVDs, and videos. Any instrument, whose serial number is missing, altered or tampered. Products purchased as open box cannot be returned. Open Box products have been tested and are guaranteed to be functional. If your open box product is non-functional, please contact us. Products damaged due to the use of an inappropriate power supply or products that were damaged due to voltage stability issues. If you would like to return a product, it is required to contact us as soon as possible at +91-9540999000 or email us to rajmusicals@rediffmail.com. All returns must be authorised and the return shipment must be mailed within 10 days of the delivery of your order. Please pack the product .properly, as it was delivered to you, so that there is no damage or dents during return shipment process. The refund will be initiated only after the package has been received back at our store at New Delhi. The refund amount will be transferred, as per banking and payment gateway norms, within five business days of the receipt of the returned shipment at our store. PLEASE NOTE THAT THIS RETURN POLICY IS APPLICABLE FOR YOUR ONLINE PURCHASES ON RAJMUSICAL.COM ONLY. THIS RETURN POLICY IS NOT APPLICABLE IF YOU VISIT OUR SHOWROOM, CHOOSE AND PURCHASE THE INSTRUMENT PERSONALLY. For further information on our guarantees, shipping, and return policies, please contact us. Click Here We Will Try to Offer Even Better. Have you seen better price? * Click Here We Will Try to Offer Even Better. Note : you need to login first to use this feature.